This webinar will help you plan ahead to get the most from designers and consultants as you ask them to develop and build the changes that will help you reach your workplace goals. HKS, a renowned leader in workplace design and strategy, explains the process of firms engaging with workplace consultants and shows us how to best prepare for an efficient collaboration and results that match expectations. They share all the things you need to have answers for and all the ideas and goals you must develop before you engage design and strategy resources. Take this advice and these pointers to accelerate your workplace plans and improve performance. 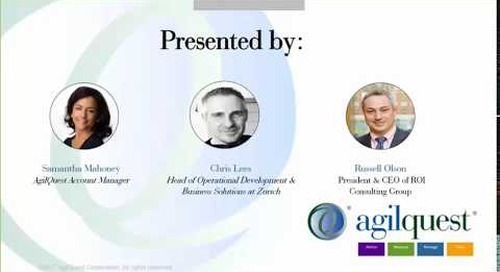 Creating the image - What does ‘successful change’ look like to your organization? How to communicate and share your message of change with your company. 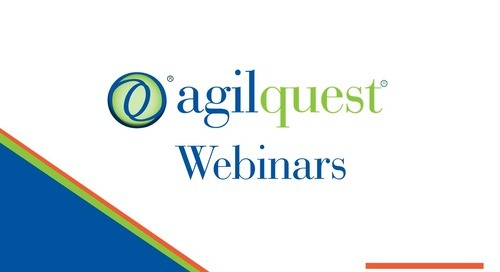 Hear about new webinars as they're announced! 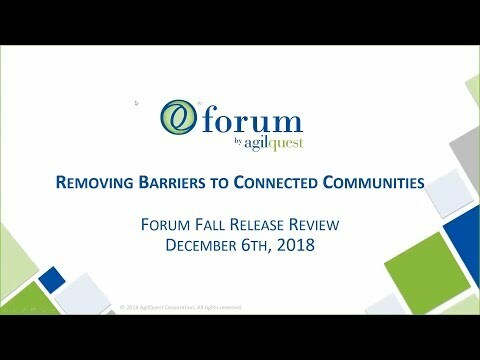 Fall webinar highlighting the latest enhancements to Forum. 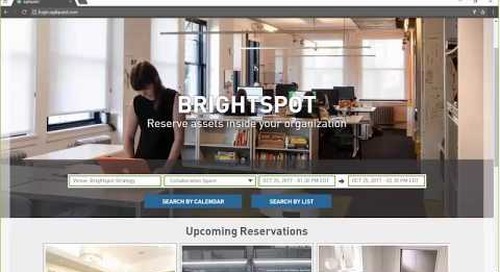 Meeting room and asset scheduling made easy! AgilQuest, Dean Strombom of Gensler and Sven Govaars of Steelcase examine how working outside of the office can have a major impact on job satisfaction, productivity and engagement. See a walk through of the core functionality of our new Agilquest Forum SaaS platform. Make sense of your workplace utilization data and bring about cost-saving solutions that can improve the workplace for your employees. Six proven factors that affect knowledge worker productivity and how to measure those factors. 20 factors that make a difference in quality of work and life per square foot. 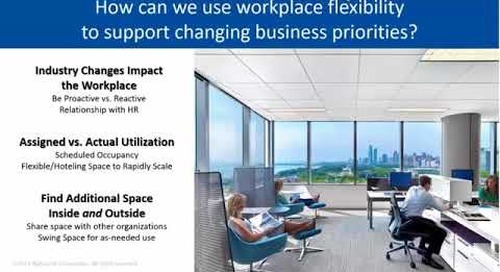 What workplace data makes a difference in transforming the traditional office environment, and how data are used as feedback to tweak and course-correct renovations and implementations. An insider’s peek at what nine very different organizations sought to achieve, what they changed about their physical space and the culture it fosters..
What impact the Gen Zs will have in, and emerging differences in lifestyle, culture, and work styles and their effects on the Next Generation Workplace. Setting up the meeting rooms and establishing the best collaboration policies and training so your workplace environment provides the best support for meeting and collaborating. Best use practices of meeting and conference room management. How to determine your organization’s unique DNA and what tools to repeat these lessons and techniques back in your own organization. Hear methods and tools for managing remote workers, skills needed to be a successful virtual manager and how to manage virtual workers to achieve the goals of the workplace program. A panel discussion on what is needed in policies to start telework and flexible work right and how to change and evolve over the lifecycle. 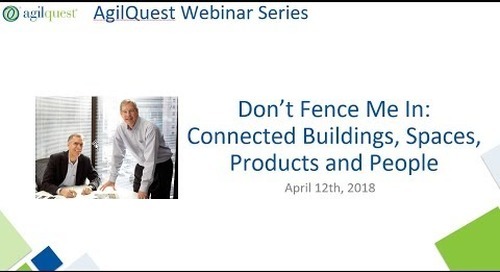 Torrance Houlihan and Elaine Hinckle provide a detailed overview of the interfaces available for AgilQuest's renowned booking software, OnBoard. A survey of the available kinds of space, the various strategies for providing access to cool-workplace-mspace, and compare how the kinds and methods perform for different audiences and environments.